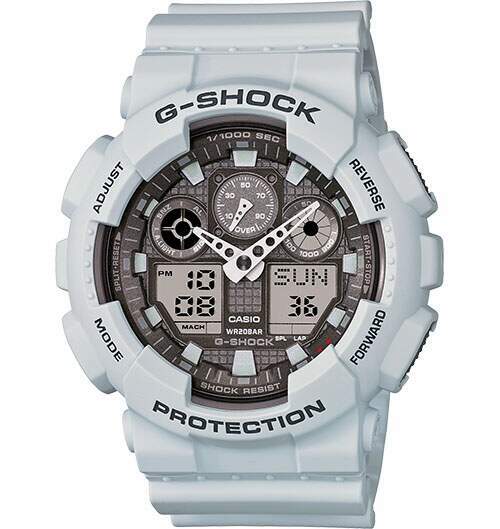 Introducing a new "Ice Gray" color variation for the popular big case digital-analog combination GA100 Series. The new color for this model is matte gray, creating an image that matches the design concept of snow. A matte gray resin digital-analog watch with gray dial.